Downloadable results - Transfer your blood glucose readings from your meter to your computer and analyze your blood glucose data in detail with the OneTouch® Diabetes management software. Convenient to carry - Just the right size to fit into a pocket, purse or briefcase. 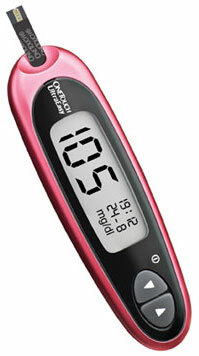 OneTouch UltraEasy® meter comes with a smart carry case to help you check your sugar on the go. Free Lifetime replacement – Avail of free lifetime replacement on registering your meter. 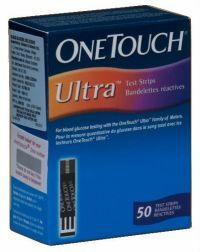 OneTouch® Zone – Collect points with every box of strips purchased and redeem gifts in the form of OneTouch® strips and lancets. To Recieve updates and possible rewards for OneTouch OneTouch UltraEasy please sign in. 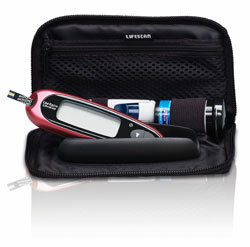 To Recieve updates and possible rewards for Glucometer please sign in.